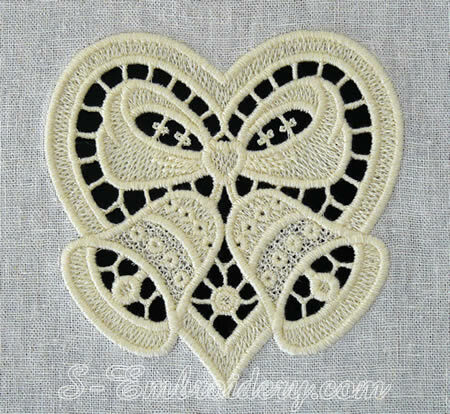 The set includes 3 versions of a Christmas bells and heart machine embroidery design. 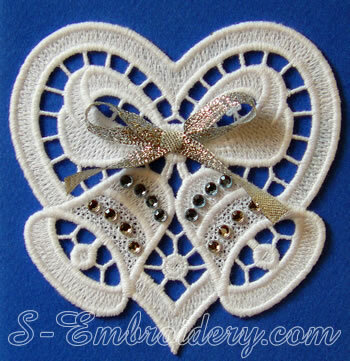 You receive 2 free standing lace Christmas ornaments (one for decorating your hand-made Christmas cards and one with loop for hanging on the Christmas tree) and a cutwork lace embroidery version. 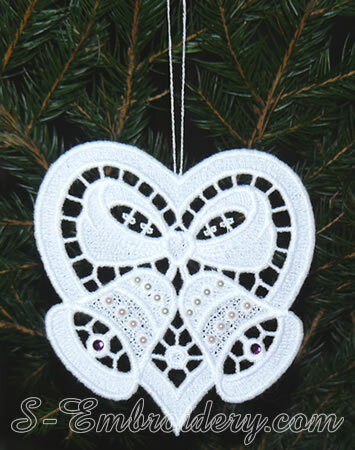 To create the Christmas ornaments, featured on this page, you will also need (optional) Swarowski hotfix stones. 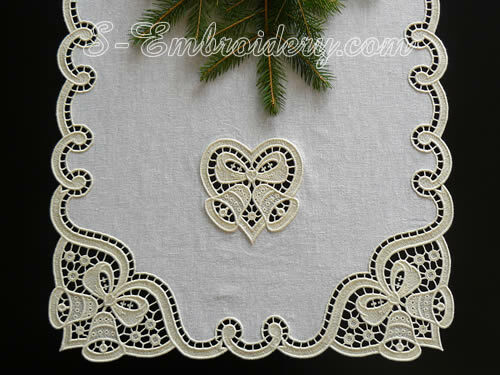 This design (all 3 versions included) is also available as a part of our SKU 10595 Christmas table runner lace embroidery set which was used to create the Christmas table runner shown on the last image below.